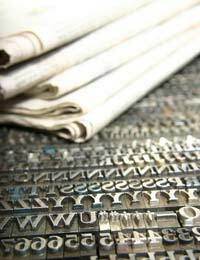 Home > Writing Skills > Do I Need a Journalism Degree? If you're interested in expanding your writing business and getting into journalism, a journalism degree can seem like the obvious choice. But which are the best courses to take and how can you make the best of your learning potential? If you do get a degree, how much difference will it really make in the tough, competitive world of journalism? Journalism can be a complicated business, but it's essentially one which you learn on your feet, going out and about and getting things done. Given that there are many skills to the trade which you simply can't learn in a classroom, why get a journalism degree? The simple answer is that it will open doors for you which no amount of experience can. Many employers advertise for jobs stating that they will only consider applicants with relevant degrees. A degree in English can also help in this situation, but won't give you as much relevant training and won't provide you with a rounded understanding of what journalists do. A degree in media studies may seem like a reasonable alternative but is, in practice, not taken very seriously within the industry. Having a journalism degree shows potential employers that you're serious about your profession - serious enough to make a substantial commitment. It guarantees that you have a certain level of basic competence. It can also offer a direct route into employment - many employers keep a close eye of degree courses to try and spot emerging talent. However, there's a danger of going straight from a degree course into a relatively low paid reporter or copy editor position and getting stuck there. Whilst a degree will give you a good start, it takes hard work and initiative to progress further. And with sufficient hard work and initiative, it is possible to bypass the degree route altogether. Finally, having a journalism degree will make it easier for you to obtain membership of the NUJ, the journalists' union, which can help enormously when you're looking for work as well as offering you valuable social and legal support. Taking on a full time degree course at the same time as trying to run a writing business can be very hard work, but fortunately there are other options available to you. Because journalism is often a course chosen by mature students, and because universities understand that older students often have extra responsibilities, most offer the option to study for a journalism degree part time. Journalism courses are often broken down into a series of separate subjects (such as reportage, literature or law) so that you can take just one or two constituent courses at a time without interrupting the learning process. However, you should be aware that a degree taken over a longer period of time, regardless of the reasons for it, can look less impressive in the eyes of an employer. An alternative to this is studying at home, which will save you time on commuting and make it easier to organise your degree studies alongside your day to day writing work. The Open University run journalism courses which are relatively inexpensive and will only require you to travel for occasional exams. The National Council for the Training of Journalists (NCTJ) also offer professional qualifications which you can study at home and which, to industry employers, are almost as impressive as degrees. Many people undertaking degrees later in life are intimidated by the idea, wondering how they'll get along in a university environment. There's no need for this, especially as journalism degrees are vocationally focused courses where you won't be expected to have an academic background. In order for it to be respected within the industry, your journalism course should be accredited by the NCTJ. This also guarantees that you'll be presented with a rounded overview of the profession including aspects such as journalistic ethics and the legal issues which can affect you at work. If you already have your heart set on developing a career in one particular aspect of journalism, you may find a journalism degree course frustrating, as you'll be expected to acquire a much wider-ranging education. However, this means that you'll have more options in the future and will be better placed to survive as a writer if your journalism career doesn't take off in the way you'd hoped.